Alvin Martin Weinberg (1915-2006) was an American nuclear physicist. Weinberg was born in Chicago. He received a B.S., an M.S., and a Ph.D. in mathematical biophysics from the University of Chicago. Soon after earning his doctorate, Weinberg joined the Chicago Met Lab to work on the early stages of the Manhattan Project. 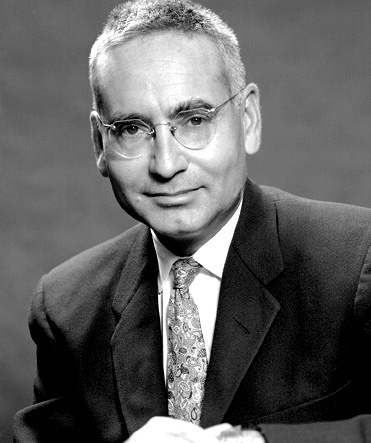 During his time there, Weinberg worked closely with Enrico Fermi and other notable physicists on the development of Chicago Pile-1. He also helped design the X-10 Graphite Reactor at Oak Ridge, Tennessee. In 1945, Weinberg went to work as the Director of the Physics Division at Oak Ridge. He became Research Director at Oak Ridge in 1948 and director of Oak Ridge National Laboratory in 1955. During his tenure, Weinberg stressed the importance of atomic energy in medicine, pushed for research into the dangers of radiation, and warned of the possibilities of environmental impact. He strongly believed in the development of nuclear power, particularly after the 1979 accident at the Three Mile Island plant in Pennsylvania. Weinberg was also famous for coining the term “Big Science” to refer to the type of large scale industrial projects, such as the Manhattan Project, which marked the 20th century. Weinberg wrote, “When history looks at the 20th century, she will see science and technology as its theme; she will find in the monuments of Big Science the huge rockets, the high-energy accelerators, the high flux research reactors - symbols of our time just as surely as she finds in Notre Dame of the Middle Ages.” He later authored the book Reflections on Big Science. Weinberg also wrote seven other books and 541 scientific papers. He called The Physical Theory of Nuclear Chain Reactors, which he co-wrote with Eugene Wigner in 1958, “probably my most important contribution to science.” He was a member of the National Academy of Sciences and the National Academy of Engineering, and a recipient of the Atoms for Peace Award and the Enrico Fermi Award. Weinberg died on October 18, 2006, in Oak Ridge. For more information on Weinberg's life and accomplishments, click here. 1915 Apr 20th Born in Chicago, Illinois. 1939 Received Ph.D. in Mathematical Biophysics from the University of Chicago. 1942 Joined the Met Lab at the University of Chicago.